As the weather warms and lawns start to show their true green color, anyone with a morsel of lawn care expertise knows it’s time for fertilizing warm season lawns. If your lawn is a Zoysia or Bermudagrass, see our blog post on the Best Times to Apply Fertilizer. If the crowning jewel of your lawn is Centipede grass, you’re in the right place. Before we begin to discuss the specifics of when and how to fertilizer TifBlair Centipede Ecograss, let’s talk about the benefits of Centipede’s unique characteristics compared to other warm season grass varieties. TifBlair Centipede Ecograss is unique because of its incredibly low maintenance level. 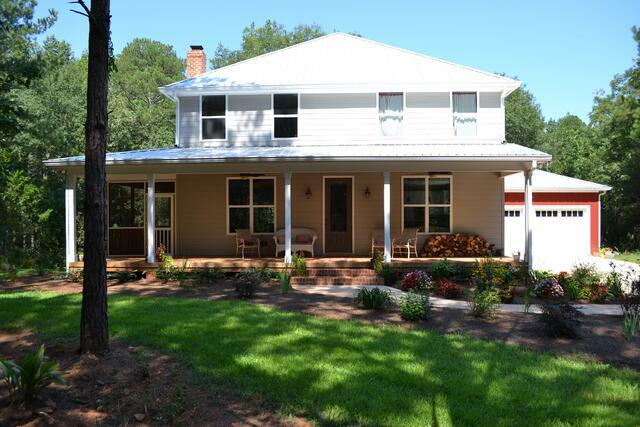 Affectionately titled the “lazy man’s grass,” TifBlair is the lowest maintenance of all quality southern lawn grasses. What contributes to this low maintenance? First, Centipede prefers a more acidic soil than other warm season grasses. This means that you likely will not need to add lime to your soil to balance out the pH. Second, TifBlair has the lowest fertility requirements of any of our Super-Sod grasses, meaning you may need to fertilize your Centipede once a year or not at all. TifBlair Centipede is unique because it does grow more densely and vigorously than common Centipede but also makes mowing easier due to its slow growth habit. The easier and less frequent the mowing schedule the better, especially when temperatures are on the rise. If you’re dealing with a new construction site where the top layer of soil has already been scraped away from the scene, Centipede’s love of low pH could work to your advantage. Often times when the top layer of soil is scraped off, the revealed subsoil is low in pH or you end up with acidic back-filled soils. Since TifBlair doesn’t mind acidic soil, you won’t have to worry about liming the area to balance the pH. To measure the pH of your soil and ensure you don’t need to add lime, conduct a soil test by sending your soil off to Waters Agricultural Labs. Never add lime to a Centipede lawn without conducting a soil test first. Speaking of soil tests, before laying Centipede, apply fertilizer according to the results of a soil test. If the test indicates a need for fertilizer, use a formula low in nitrogen (N) such as 5-10-30 + Iron. 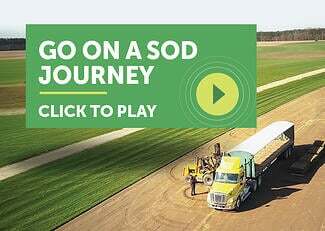 You may never need to fertilize Centipede except for when you first install your sod. We have a handy video and written instructions about seeding a TifBlair Centipede lawn to learn about fertilizing before seeding. You’ve seen that this is a “lazy man’s grass” that may not need fertilizer, so why would you want to bother? By fertilizing you can achieve a darker green color or simply promote growth once your lawn has greened up for the summer. If you do elect to fertilize for these reasons, use a formula low in Nitrogen, such as our Starter and Centipede Formulation 5-10-30 + Iron. We always suggest conducting a soil test to determine how much fertilizer your lawn needs. Calculate how many pounds of fertilizer you need for your lawn according to your soil test results with the formula sheet on How to Calculate Fertilizer Rates. 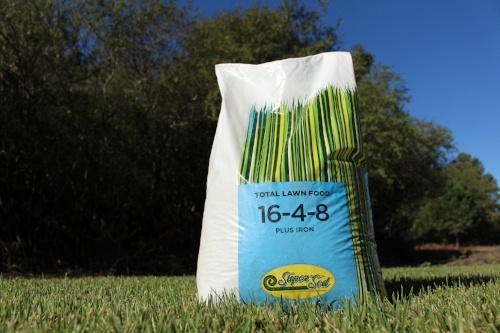 Split your total fertilizer pounds per year into 2 applications. To avoid burning your grass, don’t apply fertilizer to wet turf. Don’t over-apply. Centipede is one of the few turfgrasses that can actually be harmed by over fertilization. Winter- December through Early February. Omit fertilizer. Your Centipede will be dormant and you don’t want to promote growth while it’s dormant. Early Spring-February through Early April. Omit fertilizer. Your grass will still be partially dormant. Applying fertilizer at any point before soil temperatures warm up to appropriate levels will almost always cause chlorosis. Pre-emergent exception: During late February to early March, you may use a “weed and feed” for pre-emergent weed control if you would like. Just make sure it’s low in Nitrogen. We recommend 0-0-7 with Stonewall. Mid-Spring- Late April through May. Apply the first dose of 5-10-30 + Iron fertilizer to your lawn during these months, only after your Centipede has greened up completely. 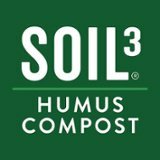 Organic Lawn Care Alternative: Instead of fertilizing your lawn with chemicals in the spring, you can aerate and topdress your lawn with Soil3 organic humus compost. This will act as your round of spring fertilizer. Dark Green Color Alternative: Instead of applying fertilizer, use liquid iron on your Centipede lawn to achieve that dark green color. Mid-Summer- June through August. 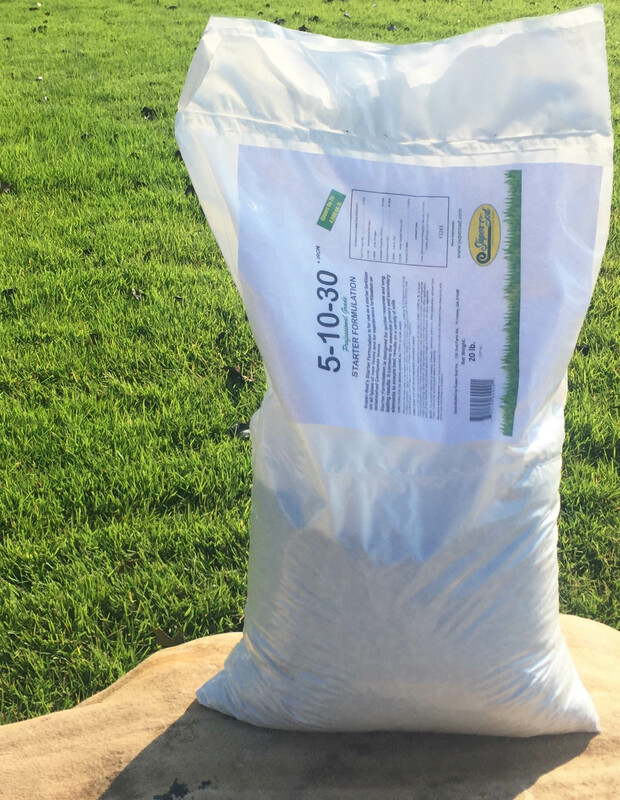 Apply 5-10-30 + Iron as your final fertilizer application for the year. Fall- September through November. Do not fertilize during these months. Centipede will go into dormancy, and fertilizing would disturb that process. Too much fertilizer on your Centipede will actually harm your turfgrass instead of helping it. A condition results from over fertilization, especially with a nitrogen-based product. This is sometimes referred to as Centipedegrass decline. You may not see the effects of high-nitrogen fertility in your Centipede when you first over-apply fertilizer, but the harm caused by excessive nitrogen is usually not visible until the next spring when your Centipede is trying to green up. It can take a full twelve months for signs of excessive fertility to show. 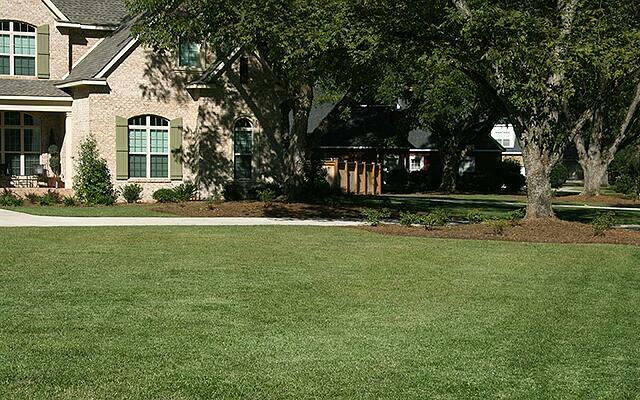 In many cases, lawn care companies damage lawns by over fertilizing them. Since lawn maintenance services are accustomed to the Bermuda lawns that require more fertilizer, their typical nitrogen application can kill the Centipede lawn. This is why we have the special formula 5-10-30 for Centipede as a low-nitrogen solution. If you’re working with a lawn care company to maintain your lawn, be sure they’re using a low-nitrogen plan for fertilizing your lawn so your Centipede stays healthy and you remain happy. For additional details on maintaining a TifBlair Centipede lawn, check out our TifBlair Maintenance Guide. If you would like a reminder in your inbox updating you on the best TifBlair lawn care practices for the month, sign up for our Monthly Lawn Tips e-Newsletter from your nearest Super-Sod store.